Although not unique to South Africa very few countries now operate a system of control (exchange control regulations) over money movement in and out of the country (currency exchange). South Africa Exchange Control regulations ‘control’ the flow of money both in and out of South Africa. They effect every transaction, no matter what amount of rand gets transferred and who the sender or recipient of the money is. The Reserve Bank of South Africa controls and oversees all capital in – and outflows. The Reserve Bank designates power to so called authorised dealers who oversee and regulate the market on their behalf. Currency trading companies, such as ourselves, will trade via these authorised dealers, but due to the effect of bulking transfers, are able to offer better rates and do not have to charge money transfer service fees. It is applicable to all transactions no matter the size. No resident may effect a transfer without prior approval. No company or legal entity may effect a transfer without prior approval. Only authorised dealers are allowed to effect a currency transfer. Outward payments may only be made for permissible reasons and under conditions that are approved by the authorised dealers on behalf of the Reserve Bank. All payments made to foreign parties must be reported to the Reserve Bank. There are set amounts for personal transfers in the form of allowances that must be adhered to. How do exchange control regulations effect me? 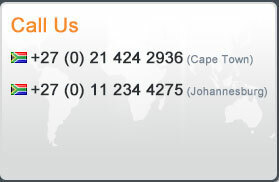 For individuals the South African exchange control regulations dictates how much and under what circumstances you may transfer money out of South Africa. It should be noted that the exchange control regulations apply to South African residents, not citizens or permanent residence holders. 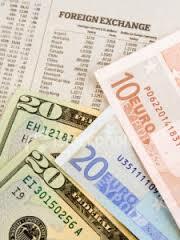 Therefore if you are considered a resident for exchange control purposes, they are applicable to you. Residency is defined in a number of different ways and expert opinion as to your circumstances should be sought from a company such as ours. R 1 million foreign capital allowance. For companies any payments that need to be made to a foreign party are covered by the regulations. Similar in effect to personal transfers abroad companies are required to justify why they need to remit money to a foreign party and seek approval form the Reserve Bank or where empowered the authorised dealer. Exchange control regulations cover all payments and investment abroad made by a company, and loans made by overseas investors to a South African resident. Exchange control regulations are in-depth and complex, you can read them in full here. They change constantly and compliance is essential. Let Incompass be your guide through the maze of exchange control regulations by calling us + (27) 21 424 2936 or emailing us here.